Yes, all of our staff is insured and bonded for your peace of mind. Can I trust the people you send to clean? Yes, all of eMaids staff have been background checked, reference checked, and have gone through a rigorous selection process before joining our team. No. You may be home if you like, but we do not require it as long as we have secure entry. Our team will have detailed instructions on what to do to make up your home to meet your needs. How will my pets be handled? We love pets! Pets are members of your family, and we respect them as such. We use products that are safe for your pets to be around, and we know all of the tricks for getting pet hair out of nooks and crannies. Yes. All of our maids go through a thorough, 40 hour, tested training program on the most efficient ways to clean your home safely and effectively. Will I get the same cleaner each time? We assign an individual maid to your home and keep details notes on your home plan. And though we maintain an outstanding record in employee longevity, you occasionally may experience a change in cleaners. We make it our promise that we will notify you ahead of time, and provide another professional that has been educated on your home plan, and the details of serving your family. Yes, absolutely. Though it is our goal to 100% satisfy you every time, on a rare occasion we may miss the mark. If you are not satisfied with any part of the cleaning just let us know within 48 hours and we will come back and re-clean for free. Do you do criminal background checks on your staff? Yes, we thoroughly check every staff member. Every client is assigned an account manager whose job it is to manager your home�s work plan and particular details. They will conduct frequent on-site supervision, and management of your service. Do you clean in my area? Click here to enter your zip code and see areas we service. Classic Clean � Buy by the Job! Our most popular option because it offers the best value. Through our booking system you enter the areas of your home you would like cleaned, a desired date & time, and some specific details and our systems build a custom package for you, a regular maid is matched for your home, and your custom cleaning job is delivered by one of our quality maids bringing all cleaning supplies and equipment needed, on a weekly, bi-weekly or monthly basis. Check out our checklist of what you can expect. Priority Clean � Buy cleaning by the hour! We will clean according to your priorities left that day. Our simple booking system will recommend an amount of hours based on your needs, and you may alter that to purchase whatever amount of time you like. You then may use our priority list to identify the most important areas of your home and how you would like the time spent. Select your desired date and time that you prefer, and your spot is booking is done. Check out our checklist of what you can expect. Move In/Out Clean � Buy a Specialized clean by the hour! Moving is stressful enough without worrying about cleaning too. Once your home is empty we will come in and tackle the deepest and most detailed of tasks. Check out our checklist of what you can expect. When will you arrive? Can I set a specific time? We give you a one hour arrival window for when we will arrive to allow time for changes in traffic, etc. If you need a specific time on occasion that can be accommodated for a small additional fee. Please let us know your arrival time needs. Do you bring cleaning supplies? Yes we will be bringing all GREEN cleaning solutions and microfiber rags to do a great job. Because our maids travel via public transportation, we prefer to use the clients broom, dustpan, vacuum and mop however if need be we can definitely provide it. Do I get a better price for frequent cleanings? Yes. The more frequent your cleaning, the more efficient we can be with our time so you will find that your flat rate price for every other week service is lower than monthly, and weekly service is lower than bi-weekly, and so on. Generally we send an individual to clean your home, but on occasion we may send a larger team depending on the circumstances. How is eMaids different than the competition? Ease � Simply a 30-second MAID SERVICE booking. Enter preferences, contact information, book and pay all online or from your smart phone. Trust � Count on our certified, insured and bonded professionals. 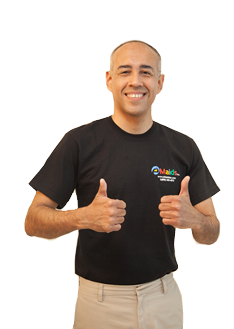 Our trained and skilled employees arrive in uniform and ready to transform your home. Service � Our Service Plus program promises responsive service, satisfaction guarantee and a dedicated team that takes your concerns seriously. Yes, of course you can buy gift cards anytime. Please click here to see if your gift card recipient is within one of our areas that we service. Then click here to purchase your gift card.